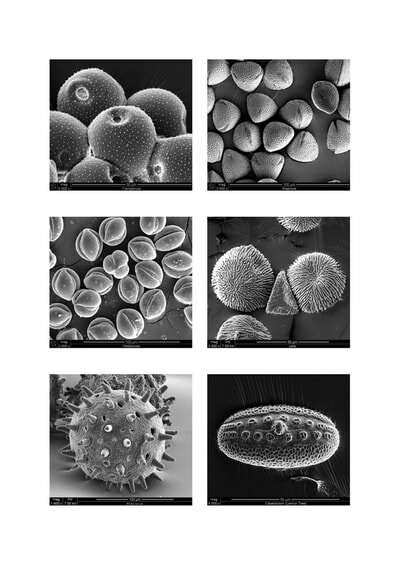 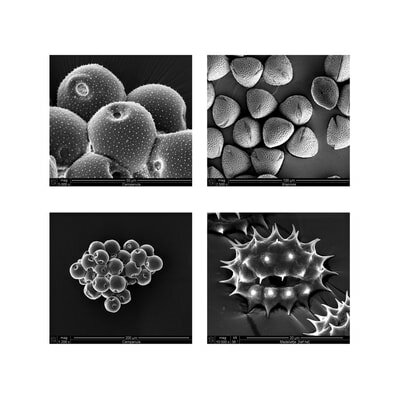 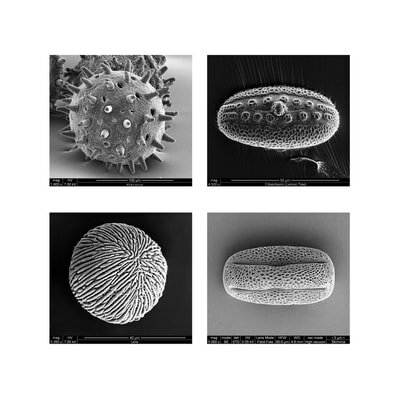 Frans Holthuysen, whose very artistic SEM (scanning electron microscopy) photographs of pollen and diatoms were on show in MoMA, New York, in 2008, is a purist who only works in black and white. 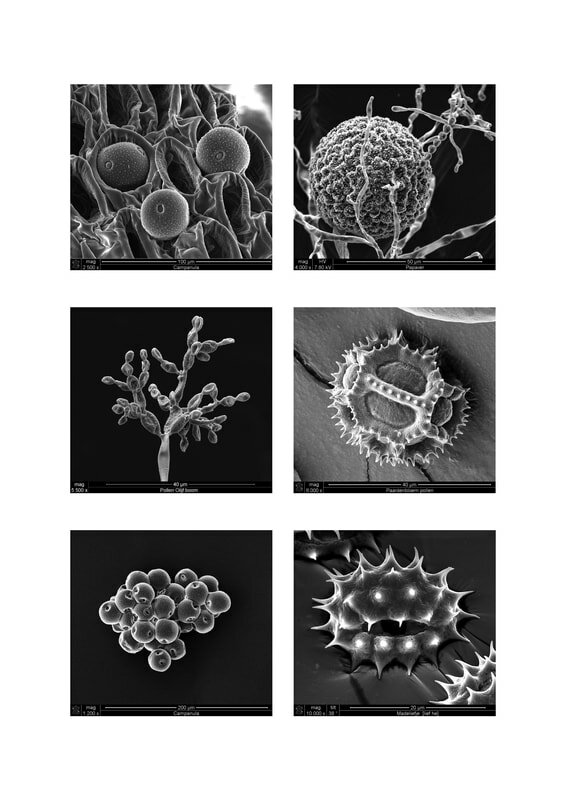 Original SEM photographs are never in colour. 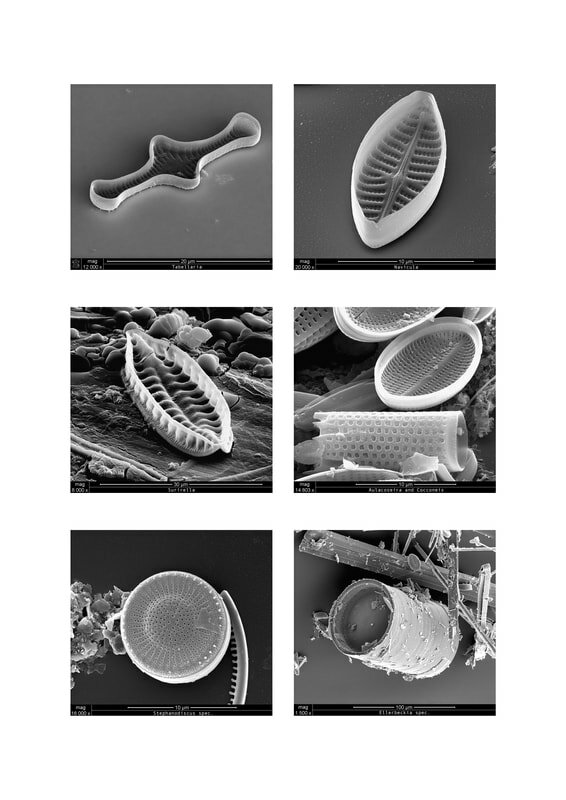 His credo is: 'making the invisible visible'. 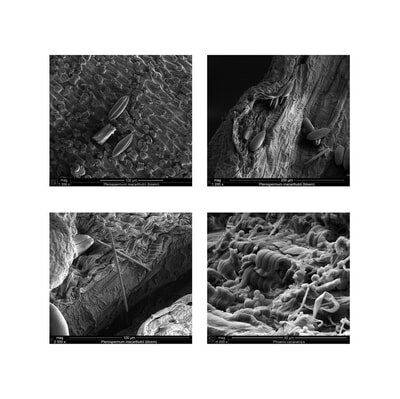 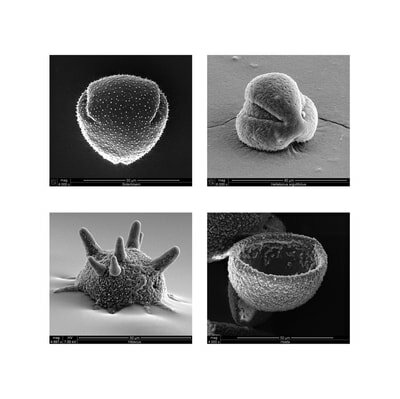 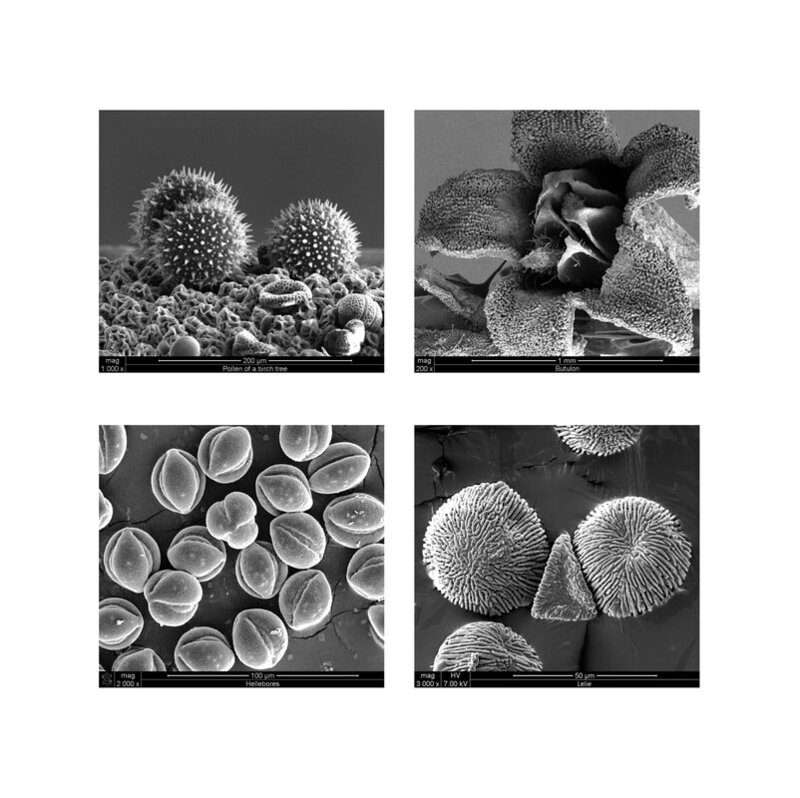 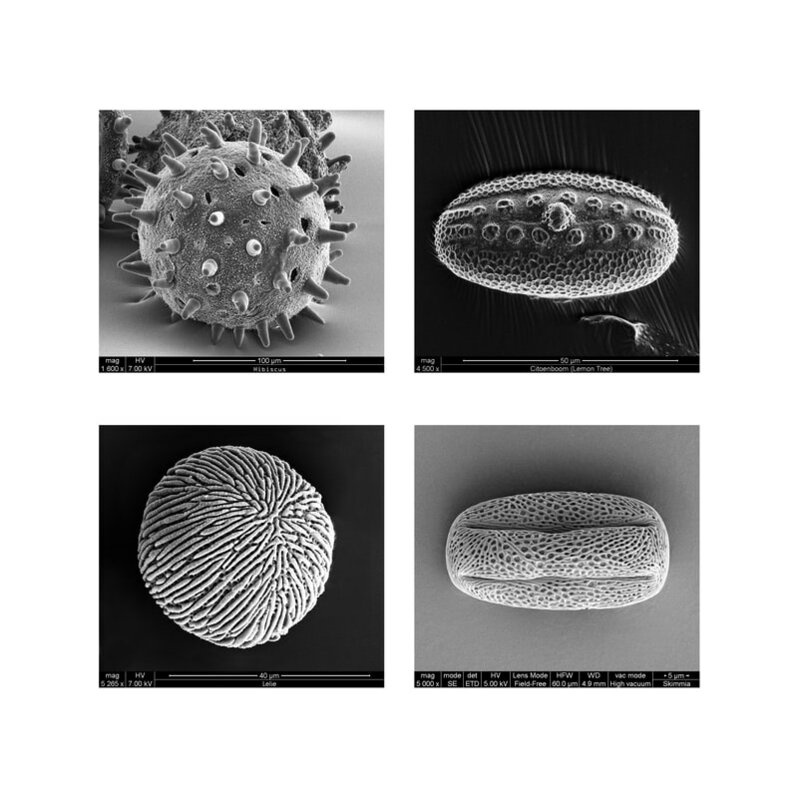 Especially for the Photosynthesis exhibition, he created SEM pictures of palm pollen from the Hortus and diatoms (unicellular algae). 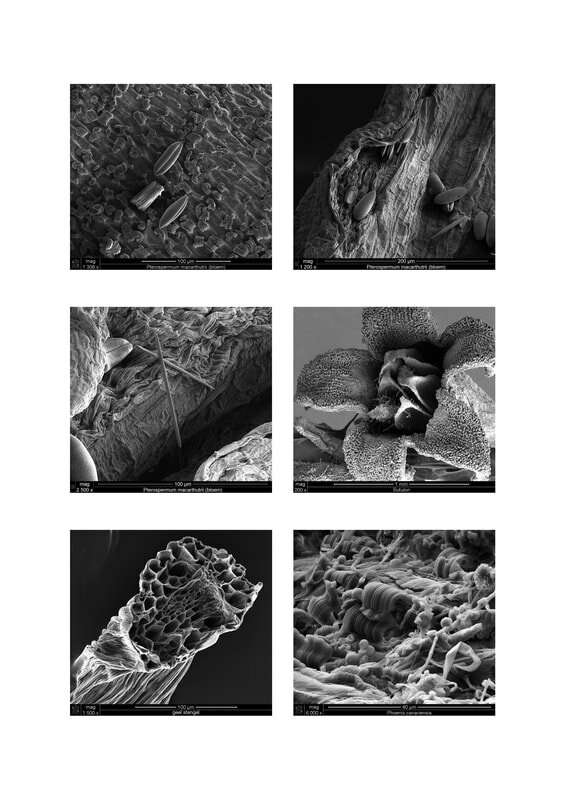 Frans uses his employer's electron microscope, and therefore cannot generate additional income from his work. 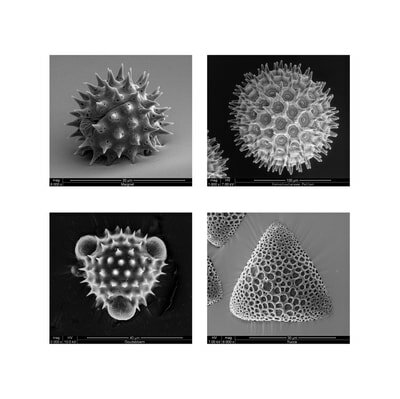 The proceeds from his photographs will go to the Kika Fund (to help combat childhood cancer). 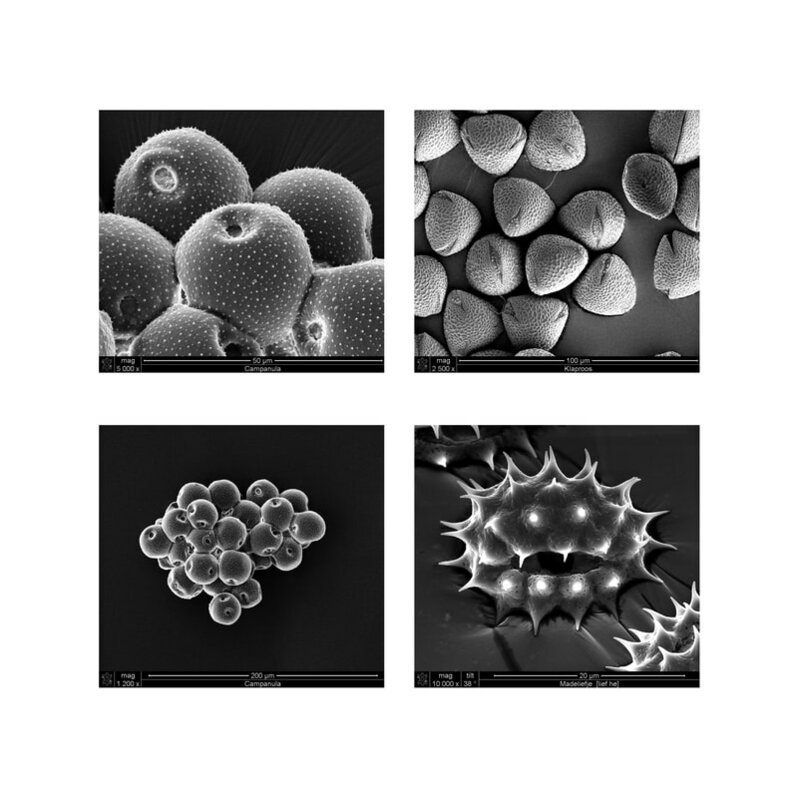 Robin Noorda compiled a couple of series from the extensive collection.